Rickie Fowler takes a four-shot lead into the final round of a tournament that's gone wrong for him in the past. He will have a big cushion in his third bid to win the championship following a stellar display of golf Saturday. 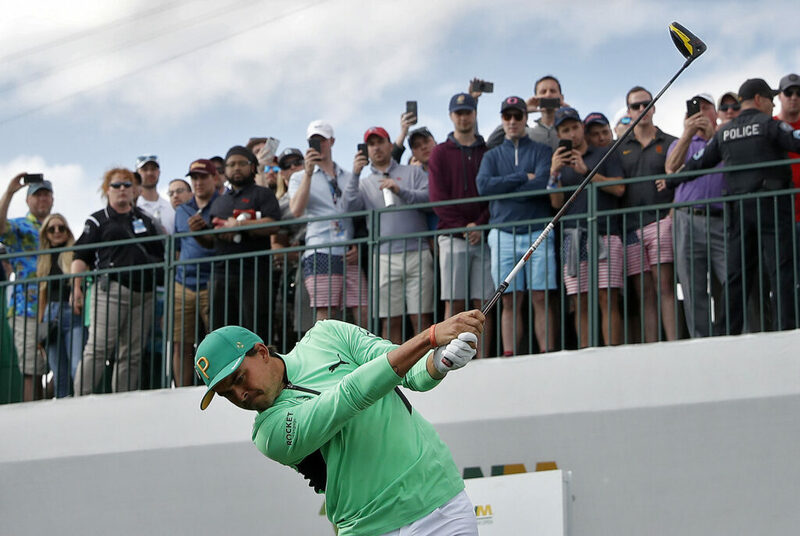 Fowler had eight birdies in a 7-under 64 at TPC Scottsdale to take a four-shot lead over Matt Kuchar into the final round. Fowler opened with four birdies in six holes and navigated a difficult two-putt on the par-4 18th to reach 20-under 193. Kuchar shot a bogey-free 65 to put himself in position for his third victory of the wraparound season. EUROPEAN: Li Haotong of China made four eagles, including two in his last two holes, at King Abdullah Economic City, Saudi Arabia, to share the lead with Dustin Johnson at the Saudi International at the end of a third round in which Sergio Garcia was disqualified for damaging two greens. Garcia was disqualified for “serious misconduct,” the Tour said in a statement, after he shot 71. Haotong’s incident-filled round of 8-under 62 – which also included a double bogey – finished with him driving the green at the 17th to set up a 6-foot putt for eagle before making a 3 at the par-5 18th.